Hello there! I have missed my blog terribly since I last posted but I was away on a business trip, which I extended into a personal vacation. I had a chance to go to London for a presention I worked on for my boss and the hubby and I decided he'd join me on the trip. We had an absolute blast. I think it's the first big vacation we've taken together that didn't involve us being 40 ft under water. You will be seeing lots of vacation photos in the near future I am sure. Of course, when I returned things didn't slow down at all. I had one sleep at home and then headed to CKC Houston with my mom. We always get a suite at a nearby hotel and spend the weekend scrapping (missed you this year, Audrey). I enjoyed CKC but I was also a bit dissapointed in the selection of advanced classes. That being said, I understand who their audience is and I make the most of it and challenge myself to something different with the class supplies. I'm a rebel like that - LOL. I did enjoy the Smashbook class I took, taught by Annette! That woman cracked me up and shared great ideas! I was a bit dissapointed in the vendors too but it is what it is. 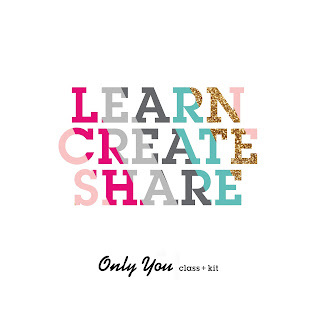 So back to my blog...today I am going to share some things I made with my favorite Imaginisce tools. No doubt about it, Imaginisce has some of the BEST tools on the market and I love that they are always adding to their collection. Way before I was an obsessed scrapbooker I would dabble with sewing, usually making outfits for my then toddler girl. 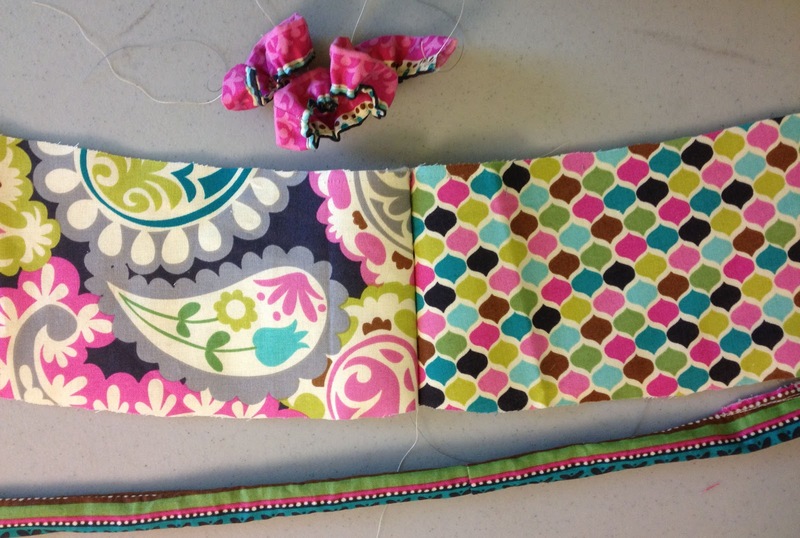 I kind of got away from it as she got older so when we were asked to create anything we wanted using Imaginisce tools, I immediately gravitated to my fabric stash. Down here in Texas we drink a lot of sweet tea. My family loves the sweet tea from our Keurig machine. We make it using their Brew over Ice cups, which look fine but I wanted to dress mine up a little so I made this cup koozie. I cut the fabric using the new cutting mat. Have you seen the cool design of it? The back is a cool pink and black damask. I also used the Lil Snip scissors but I would have used the new rotary cutter if I'd had it yet. Other tools used were the i-rock mini iron and i-top 2.0. I made a free pattern, which can be downloaded HERE on Craftsy, where I post all my patterns. 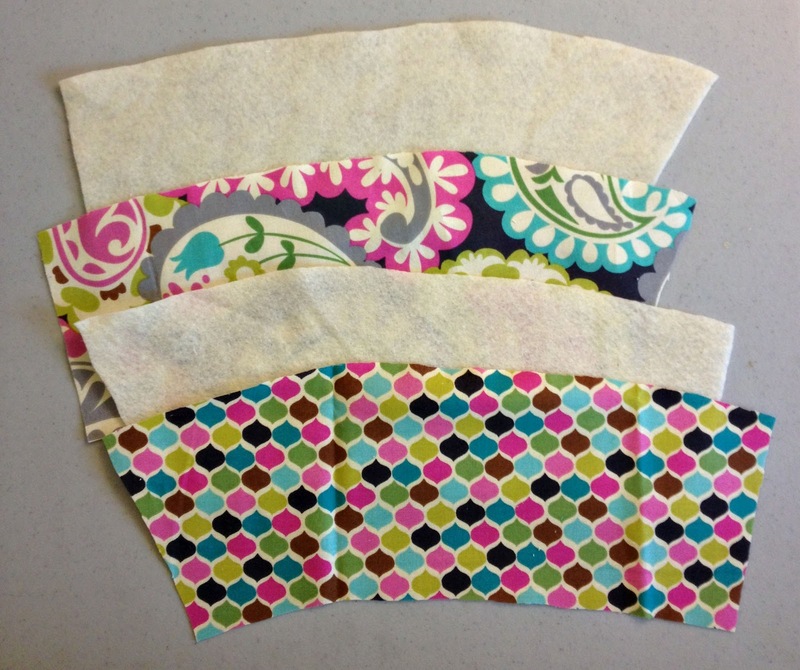 I cut two strips of fabric from the pattern and a third using felt for the inside. Before I sewed it together, I covered a medium button daddy with coordinating fabric using my i-top 2.0. I hand stitched it to the fabric and then sewed the pattern and ruffles together, adding twine to the opposite end of the button. 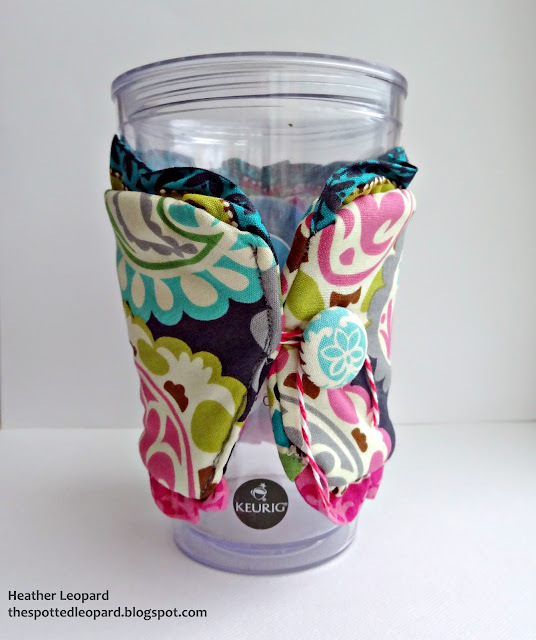 Once it was all stitched together, I wrapped it around the cup, tying the twine around the button. My ice tea glass is not so boring anymore! My original idea for this next project was to create a key fob for my keys but I just got back from a trip to London and realized I really needed a set of bag tags for my luggage. I’m sure you know all how hard it is to find your luggage when they all look alike. As I was creating mine it dawned on me that my girls could use new tags on their back packs so made them some as well. All we need to do is add the rings and attach them to the bags. To make these, I used the new cutting mat and snippits again. I simply cut different shapes from fabric. I used the Clicut tool to cut out our initials. I stitched the initials to one side of the fabric before stitching it all together so that the outline of the initial would not show on the back of the tag. I added the loop to the inside of the fabric and then stitched it all together. There is felt between the front and back fabric to give it weight. I like the way it looks from the side with the felt peeking between the fabric. Thanks for stopping by today. 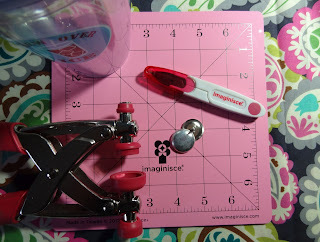 Head over to the Imaginisce blog for a chance to win a set of tools for yourself! Glad you had a good trip!! I loveeeeeee all your goodies today! 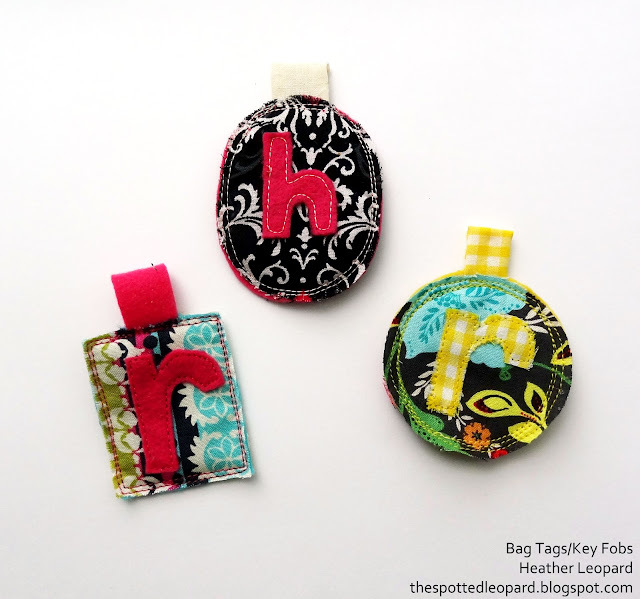 LOVING the bag tags/key fobs!!! Amazing job on these! 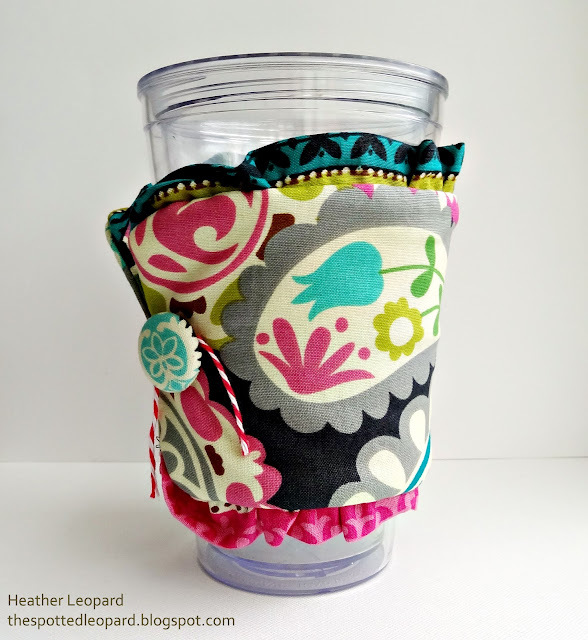 I have always wanted to make a coffee cozie. Thanks for the inspiration! That itop looks great with the fabric! Now I really want one! Super cute pattern- love the ruffles! How cool are these??!! Love the fun creations! I need practice my sewing on something other than paper before tackling something like these! They are beautiful! Oh gosh you make me want to drop my scrappy stuff and sew! And I missed you too! Didn't miss the ckc, but all the fun hours spent Scrappn! Wow! These are really fun projects, Heather! Love the mix of patterns for the cozy (and the colors are fab too). Fun little tags too. My sewing machine has only seen paper. LOL! adoarble projects Heather!!! Where is Cypress Tex? I'm close to san Antonio. Connie - Cypress is near Houston. I visit San Antonio quite often since I am from that area. 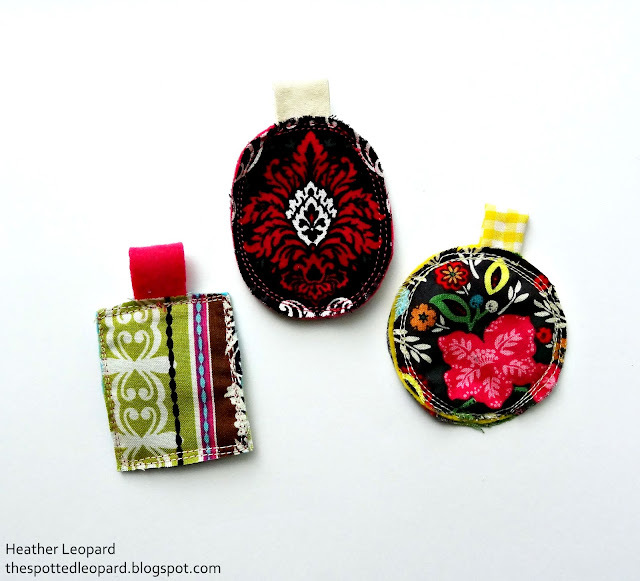 What fun projects! And I love your fabric choices and adore the ruffles Can't wait to try making a cozie! Great gift ideas. Newest follower from Com hop. Love for you to follow back. Hosting Mom's Monday Mingle. Love for you to stop by and link up. both projects are just SO absolutely awesome--you totally rocked them! First of all I love BOTH of your creations and second I LOVE the fabric! !